During my trip to Manila, I scheduled a little reunion with the friends I met at Camille Co's birthday dinner last year. Sadly not all of them could make it since some were from the Luzon provinces while others already had plans with their families. Kay and Kylie made it though so we had a sumptuous lunch at Banapple. Loads of chitchats and 'chikahan' later they told me that SM Aura was only a building away and invited me to try making my own Magnum! Of course I said yes. I'd be bonkers if I didn't. The restaurant was packed when we got there and a line that never seemed to die away was present. I was pretty impressed though because even if customers continued to flock the place, service was really fast and the staff were all in smiles. It must be the ice cream. To make your own Magnum you'd have to pick three toppings (see choices here), an ice cream flavor (vanilla or chocolate), a dip and drizzles (white, dark or milk chocolate). 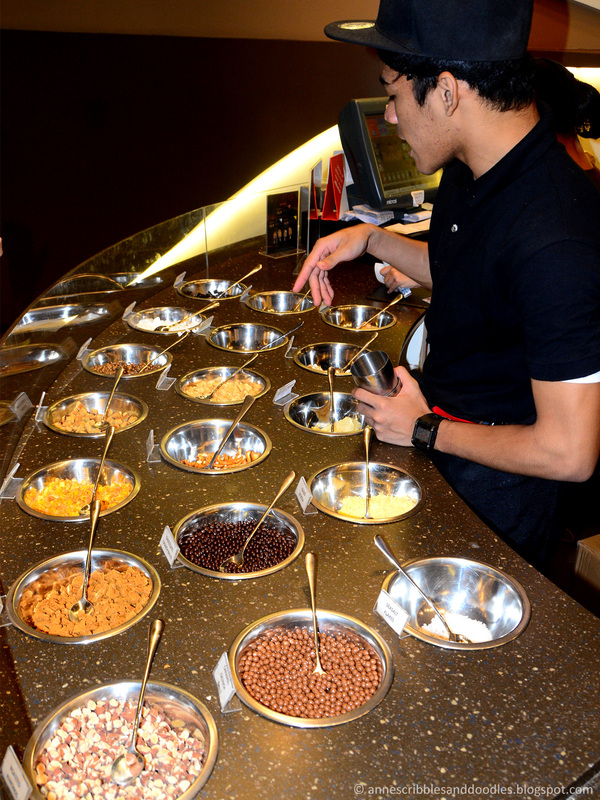 It took us a while before we got to decide which toppings to pick. The struggle was real! In the end I went for crushed Oreos, gold nuggets and roasted almonds. If you are a little adventurous they have spicy chicharon too! For a finishing touch, an edible Magnum insignia accompanies every ice cream made. Oh dear. I want to try this all over again! 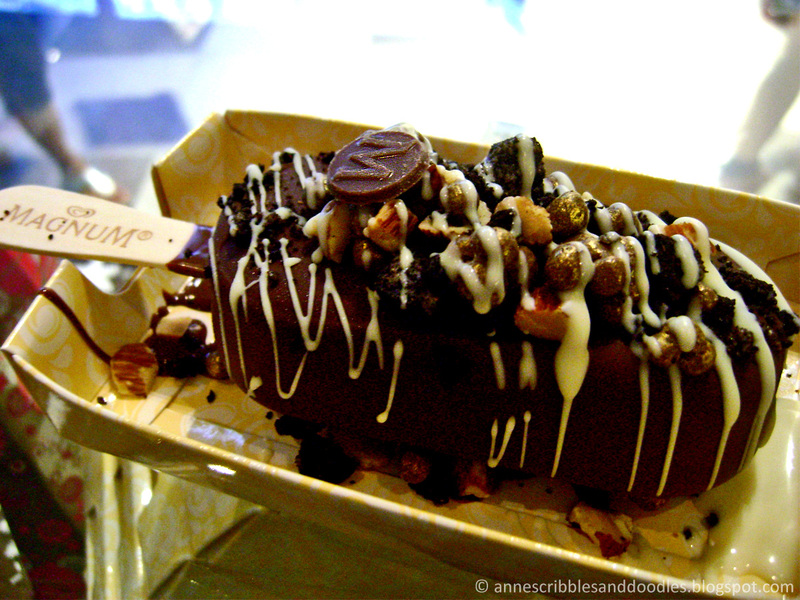 Oh Magnum Bar when will you come to Cebu? Of course, a #Magnum photo was necessary. That is Kylie's Magnum on the left, Kay's in the middle and mine on the right. It was so good that we ate our ice cream without a word said to each other. There was simply no time for talking. Full attention had to be given to the delicious wonder before us. We felt like kids all over again. After gobbling the sweetness up, we had a full bout of giggles. How could we not? I cannot explain the happiness that ice cream brings. It's euphoric. Anne's Magnum: crushed Oreos, gold nuggets, roasted almonds, chocolate ice cream, dark chocolate dip and white chocolate drizzle. 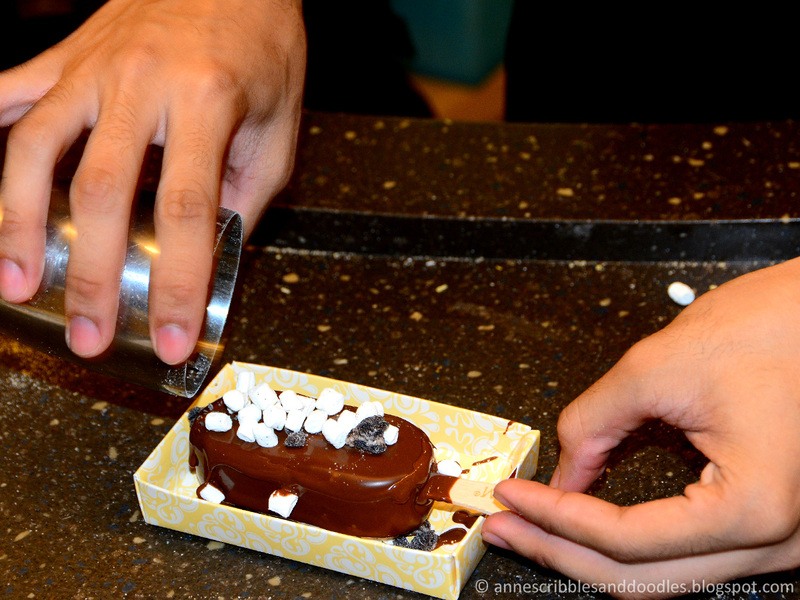 PS: Read Part 2 of My Magnum experience here as I talk about their special dessert menu! 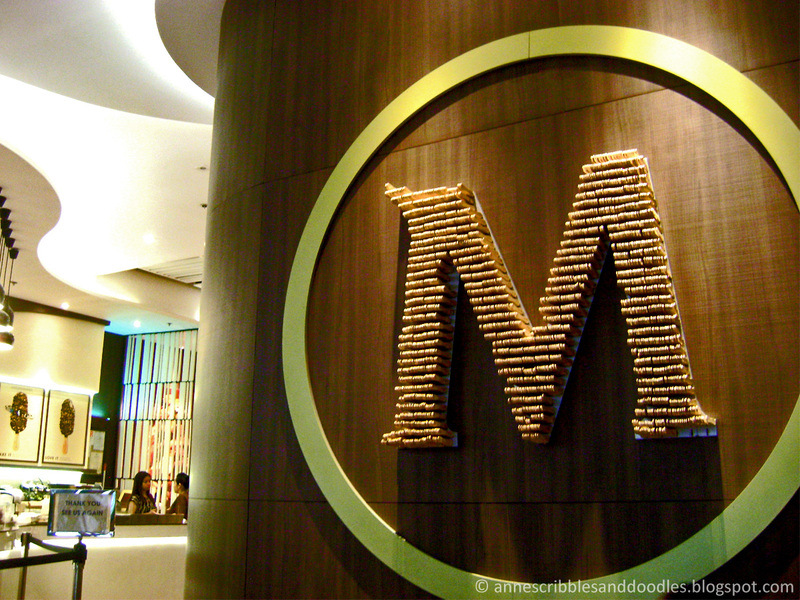 Magnum Manila is located at the Fifth Floor of SM Aura Premier, C5 Corner 26th Street, Bonifacio Global City, Taguig and is open daily from 10:00 am to 10:00 pm. Don't be Dora. Try it too! How yummy! Drool worthy post Anne! I love those pictures - that looks soooo yummy! Thanks for sharing! Looks so delish, I love that you can add your own flavors! The portion looks pretty small too, so this is good, i can see you eating it twice a day! I love ice cream, too, and will eat it year round, but not in the rain! OMGGG You are some lucky gal! I always want to try this because so many people were raving about about your own Magnum Bar, but I have to go all the way to NYC or Toronto to try this out. T.T Perhaps someday I will! I am so visiting this place when I go for a vacation in the Philippines! It was delicious indeed Elle. I happen to love Reese cups too! Write it up on your bucket list so you won't miss it out! Thanks Lee! That would be delicious too Coco! Still haven't tried this magnum bar, but by the looks of it, I think I'm missing a lot (of calories and ice cream goodness). Hehe! This looks SOOO delicious, I am soo jealous! Not fair! This looks amazing, I wanna make my own! SOOO delicious indeed! Try one Kasope! wish I could rn really! 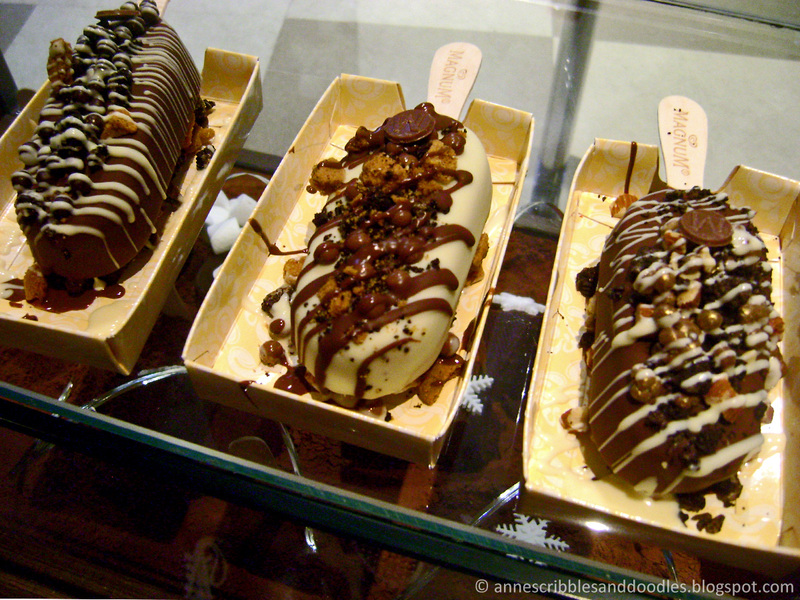 Oh my gosh, I had my first magnum bar when I was in Europe a couple of years ago and I fell in love with them! Ahh I envy you Anne! HUhu. When will I ever go back to Manila! I loved your Magnum! I'd go for a dark chocolate dip too! Oh my! They look absolutely divine!! Yes Vera. Fun and delicious! It's not hard to imagine falling in love with sweets. It happens to me too. You went to Europe? Wow. I dream of traveling there. Divine would be a rally fitting adjective. Thanks Courtney! OMG my mouth is watering! Looks so delish, mmmm! magnum has always been one of my favorite ice cream, but If I had to choose one thing it would be pizza. I love ice cream! It's my favourite type of dessert! All the above Magnums look delicious with the extra toppings! You're not alone. I'm craving for it again too. Well then, we belong to the same sisterhood Stella! Ice cream forever! OMG! Todo se ve increíble, quiero probar todos esos helados. Besos! Looks delicious! I would love to try this. YAY! 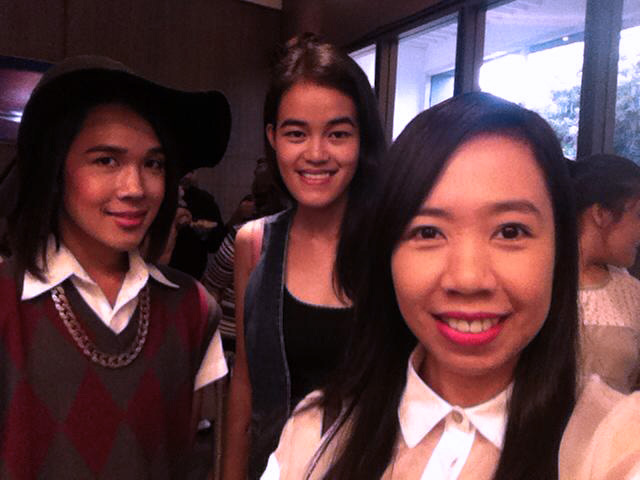 For Magnum Manila :) naglaway ako! Whattttt! That looks so fun to make and delicious too I bet!!! I seriously don't know but I hope they'd come to Cebu soon. Oh I totally forgot about their status as a popup store! I hope that they'd stay for good given the huge demand. People were lining up and the reservation list was pretty long. That didn't stop everyone from getting their ice cream fix though. Haha. They do Reymara. Thank you! Ive never heard of this place, I loveee magnums so Id love to go there one day! Thats an amaaazing shop! I NEED to go there! Wonderful pics!! You're not alone on that! Thank you so much Zalona! You should definitely try it out. 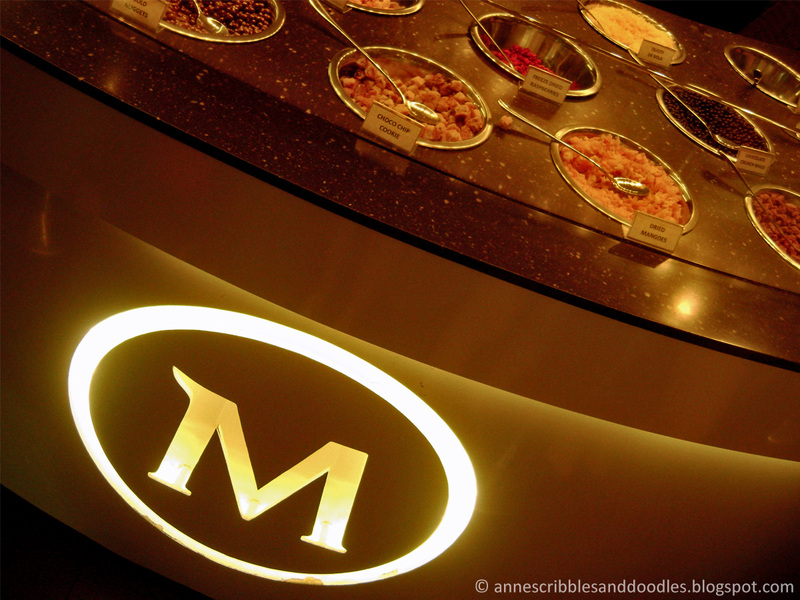 It's a haven for ice cream and Magnum lovers. Oh my I need ice cream pronto. I've seen these popping up here and there and been dying to get to one! Make your own! It's fun and delicious too. 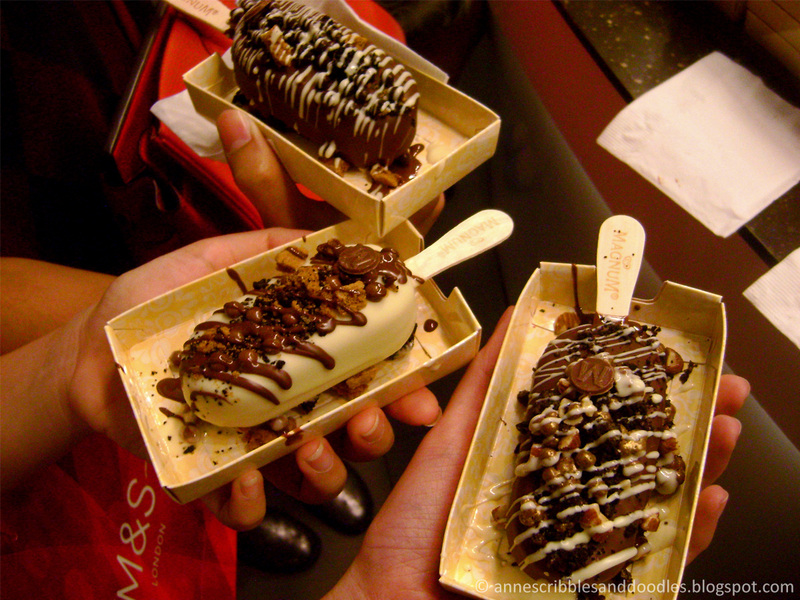 The magnum ice-creams look so mouth-watering! Will definitely visit if I travel to Manila! Yes Kylie! She is such a darling. Do you know her personally too Shekinah? Oh do visit! You'll enjoy it I promise. waaah,want it too.So bad in our country it's not!! So cool! I'm obsessed with magnums. huwow!!!! it looks so good!!!!! Super worth it! Thanks Aleksandra. Delicious would be an understatement. Haha. Hello! Sorry for commenting again but I nominated you for Liebster awards. More info on my page! Oh my goodness, these sound delicious! Oh no. They'll only be staying for a year here as well. I'm not sure if there's a restaurant out there. The one here is only a year or so old. I will definitely do some Google searches! there might be one in like California or something! Yay! After trying the notebooks, push pins and pencils, I got so hooked with washi tapes. I want a collection if only budget permits. Haha! I loooveeee washi tapes!!! I just covered my planner yesterday because I got bored with its original cover. Washi is one of the best inventions ever! Hehehehe. This is genius. Where can I buy them? I'd like to decorate my notebook, too. Is it availabe in National Bookstore or somewhere? Thank goodness to whoever invented them! Yay! Go introduce them na! You're welcome JL. Yes that's what makes washi tapes a great craft material. They're easy to use and they can spice up just about anything. I stared at them, and I thought it was hand painted or something.. but stickers? whoooah you got some skilll! Are there anime or super hero designs, too? I might try this out soon but for sure, this is a great test of patience. Yes stickers! Or well I guess the better term would be tape. Haha. They're easier and simpler to work with. Indeed patience! Yes I've seen superman and batman designs before Jeph.